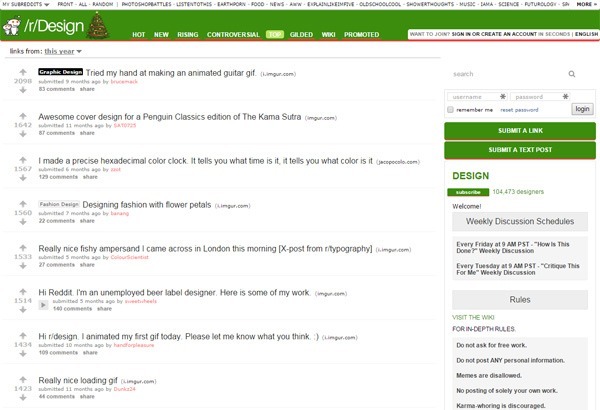 Design is a general subreddit for design content, news, and discussions. 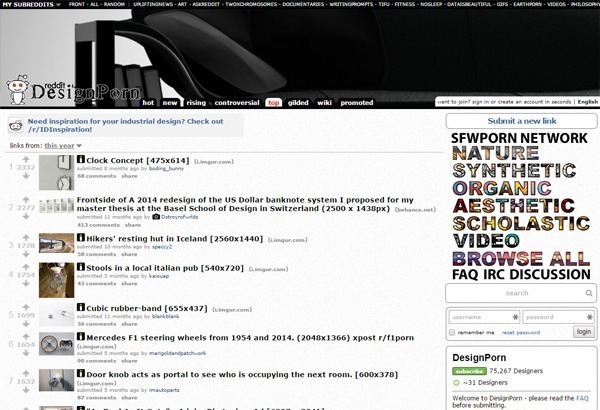 It’s also a subreddit where you can seek answers to your design-related questions. 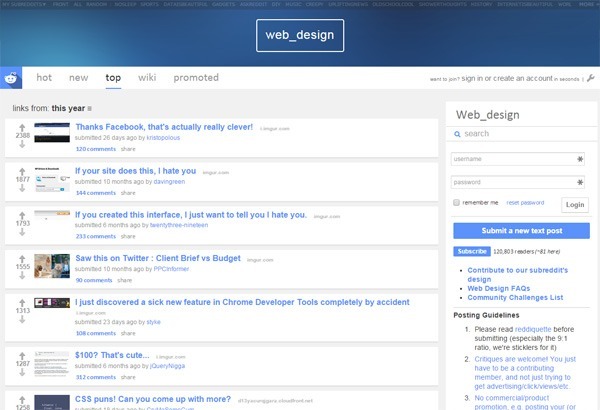 The web_design subreddit has a ton of community-curated web and UI design content. 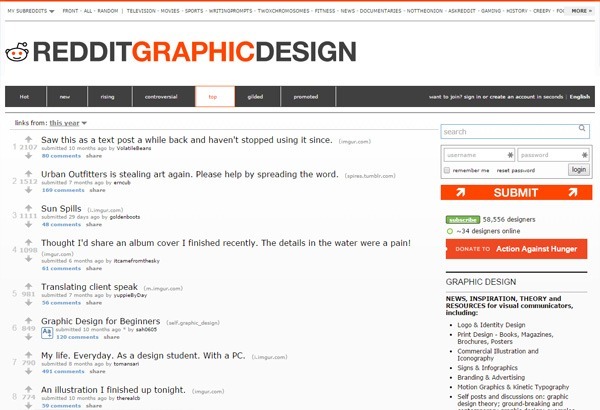 If you’re looking for a community based around graphic design and print design, the Graphic Design subreddit is well worth subscribing to. Are you looking for people as obsessed about typography as you are? 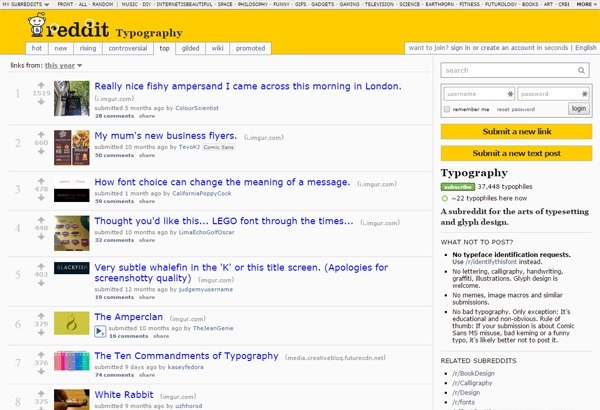 You’ll find a great bunch of typophiles over at the Typography subreddit. 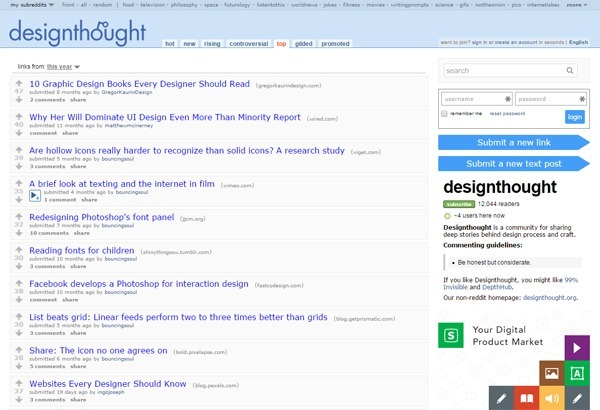 You will find stories about the process and craft of design in the designthought subreddit. Looking for design anti-patterns? 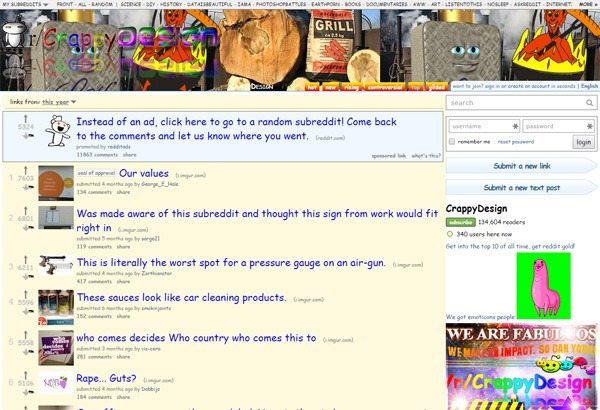 Browsing through the content in the CrappyDesign subreddit could give you a better understanding of poor versus good design choices, and some of the design details to watch out for in your own work. This subreddit is safe for work (SFW) despite its name. The DesignPorn subreddit is great for creative inspiration and participating in discussions centered on noteworthy designs. Design critiques are essential to the growth and improvement of designers. No one gets a design perfect in the first iteration. 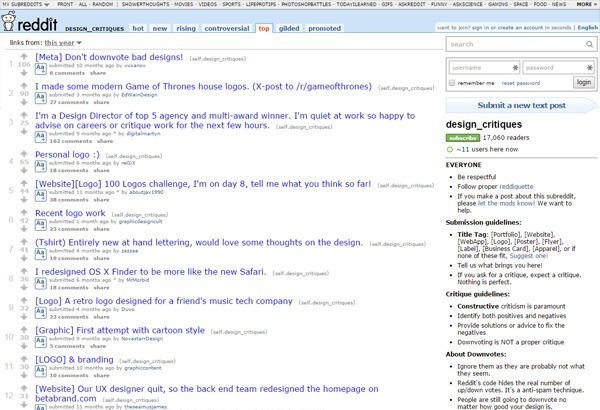 The Design Critiques subreddit is a possible source of feedback about your designs. Enjoyed this post? You’ll also like this one: 5 Best Sites for Getting Your Design Questions Answered.